With the international tennis event beginning in Melbourne early this week, spectators have taken to social media to express their upset after finding Ganten branded water from Shenzhen in China for sale. “Chinese water Why? I would have thought the Australian open would supply Australian water as their official water not Chinese water – double fault organisers,” one complaint said on the Australian Open Facebook page. “Using bottled water from China for the Australian Open is such a poor decision – why didn’t we have bottled water from Australia?” another complaint stated. The Australian Open has responded to complaints about the water by saying it has a long history of partnering with both Australian and international brands including Evian French water, Italian pasta and Dutch beer. “Australian Open 2017 attracted fans from 72 countries and was broadcast on 65 channels to more 220 territories and 900 million households. It is a truly global event,” the Australian Open said in a statement. 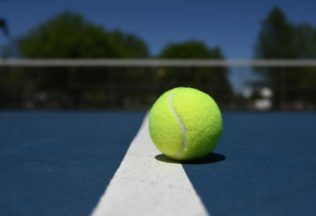 “The Australian Open continues to expand its global reach and partnerships, which helps to grow the sport at all levels in Australia,” the Australian Open’s statement concluded.